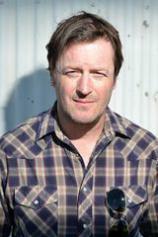 Willy Vlautin is the author of THE FREE, LEAN ON PETE, NORTHLINE, THE MOTEL LIFE and DON'T SKIP OUT ON ME. He is the singer and songwriter of the band Richmond Fontaine and a member of the band The Delines. He lives outside Portland, Oregon. With "echoes of OF MICE AND MEN"(The Bookseller, UK), THE MOTEL LIFE explores the frustrations and failed dreams of two Nevada brothers --- on the run after a hit-and-run accident --- who, forgotten by society, and short on luck and hope, desperately cling to the edge of modern life.